Soul music, like any genre, has never been short of artists willing to champion its sound, regardless of the mainstream’s unwillingness to pay attention. But in the last year, soul has been at the top of the charts with young sensations like Leon Bridges and Alabama Shakes. While these artists have claimed their fame rather quickly, one current soul singer champion has seen the ultimate highs and lows that America has to offer someone chasing its dream. Charles Bradley’s story is not one of rags to riches, but rather rags to, simply put, dreams come true. The 67-year-old singer has happily found modest success on the Daptone label since releasing his debut album, No Time For Dreaming, in 2011. His opportunity to play his music across the world has come after years of working minimum-wage jobs and playing small club shows as a James Brown impersonator. Bradley’s story is chronicled in a well-made documentary, titled Charles Bradley: Soul of America. Changes (Bradley’s third album) begins with a love letter and seemingly ends with one. The opening track, “God Bless America,” is an open letter to Bradley’s home country while the closing track, “Slow Love,” is an intimately detailed letter to a lover in a blossoming relationship. Bradley’s inclusive scope, from a whole country in the album’s beginning to a single lover at its end, with personal stories and political anthems in between (“Change For The World”), is reminiscent of Marvin Gaye and his incredible dynamic artistry as a singer and writer. While Bradley’s music has never felt anything close to guarded, Changes might be his most personal album yet. He finally has a new life and worldview to sing to us about—one that’s come to him through the fruition of a dream that he’s worked to fulfill his entire life. On “Ain’t It a Sin,” Bradley takes the opportunity to let loose some steam as he discloses the toll that success has taken on him. “I tried to be a righteous man / I tried to give love all over the world / but I’m tired of being used,” he shouts. Where some singers might take those same feelings and fashion a down-tempo song about exhaustion, Bradley creates an anthem of love for self. “Ain’t It a Sin” rumbles with a funky beat carried by a rigid bass line and backing horns, while Bradley, like his idol James Brown, sings with a contagious sense of pride. Perhaps the most touching song on the album is Changes’ title track. 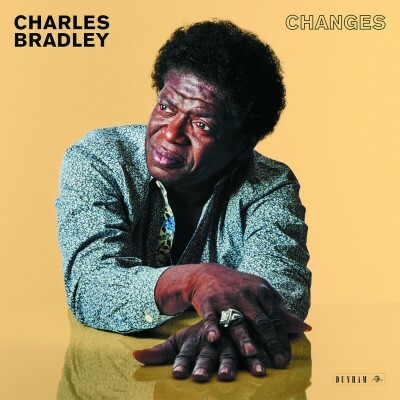 A cover of a Black Sabbath song that he dedicates to his deceased mother, “Changes” displays Bradley’s incredible ability to convey emotion with his voice and his deep love for various kinds of music. To hear diehard Sabbath fans refer to Bradley’s version as better than the original in the YouTube comments section is a powerful example of Bradley’s sincerity and natural ability.